Although records are sparse, there is some evidence the Ooltewah Church of Christ existed in some form as before the turn of the 20th century. Ira C.Ballard served as the minister at Ooltewah from 1898 to 1900. There is also record of Ooltewah being one of three small churches in East Tennessee to own a building in 1903. 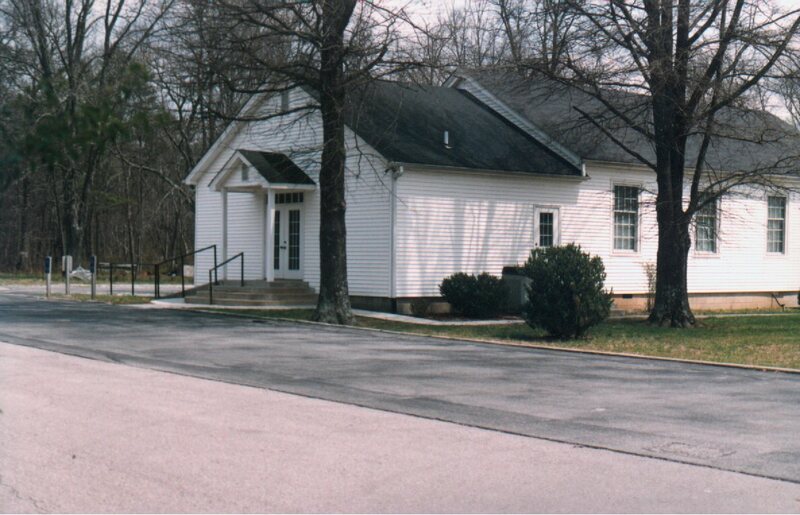 Whether this was the same Ooltewah congregation we have today or just early seeds planted long ago is unknown. The records available for the early years of the Church at Ooltewah has many large gaps during the first 50 years. In the Spring of 1944, we know the Ooltewah Church of Christ was established through the efforts of B.F. Early, J.E. Boles, W.I. Newton, C.O. Neal, George Acuff, and Floyd Bell. At the time, the church rented space from the Christian Church for their 12 members to worship. In 1947, permission was granted by the county school board for the church to use the old high school gym as a temporary meeting place. On September 9, 1948, construction of a permanent meeting place began at 6010 Hall Road in Ooltewah, Tennessee. On December 19, 1948, the first service was held in this new building. There was only an auditorium with sub-flooring. There was no electricity or pews, only two kerosene lamps for lighting and a coal stove for heat, but I am sure the singing was glorious that cold Sunday morning. On December 2, 1953, the footing was begun for three new classrooms. The Floors in the auditorium were completed in September of 1955. In October of 1955, pews arrived to provide proper seating for the family at Ooltewah. By the end of 1959, the footings for five more classrooms had been poured. By the end of the 1960’s, a baptistery had been installed, three restrooms, a nursery and a fellowship room had been constructed. Other improvements included electricity, heat and air, a water fountain and masonite siding. They continued worshipping in this building until June of 2006. The Ooltewah Church of Christ had grown from just twelve members to around 100 members in just twenty-five short years. In the mid to late 1990’s, discussion of building a new, larger building on adjacent lot purchased several year in the past to make room for the church’s continued growth. The planning for this project continued for several years while the funds needed were being raised. Due to the extreme growth in the Ooltewah area, it’s no surprise the church started receiving offers for this property which was in a very desirable location. In February 2005, the congregation decided to accept an offer that would allow them to build a larger building to fulfill their present needs and provide room for future growth in a new location. In April, the property at 3206 Ooltewah-Ringgold Road was purchased and plans for a new building were started. Thankfully the old building, that holds so many memories, was sold and moved to Cave Springs, Georgia, where it continued being useful in another good work, the Georgia School of the Deaf. Carl Chapman Jones – 1924-19? ?